Central Queensland, Wide Bay, Sunshine Coast PHN is an independent not-for-profit commissioning organisation funded by the Commonwealth Department of Health to improve the health outcomes of the region. There are 31 PHNs throughout the country servicing all the regions of Australia. PHNs replaced Medicare Locals on 1 July 2015. We commission organisations to provide services that meet primary and preventive healthcare needs. Primary healthcare is the care that takes place outside of a hospital, such as GPs, allied health, chronic disease management, aged care, mental health and Aboriginal and/or Torres Strait Islander health. Primary health care is recognised as the most effective way to keep communities and individuals healthy and well. 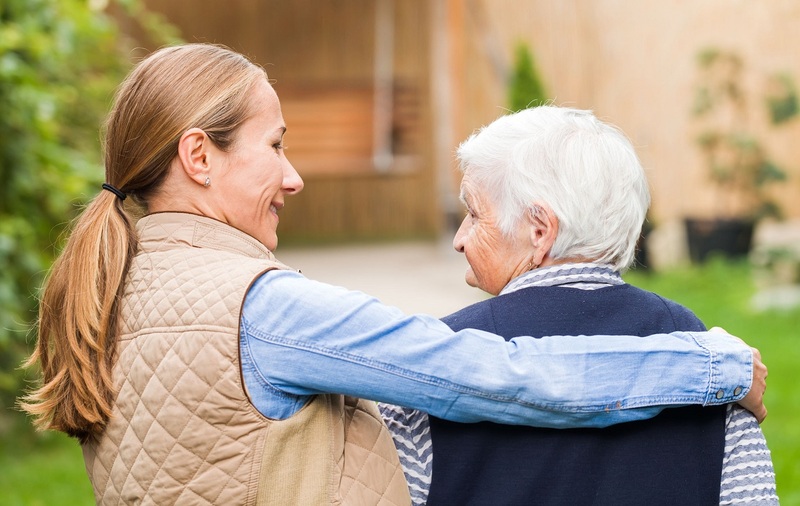 We identify where there are areas of need, such as lack of health care services, difficulty in accessing these services, or regions with particularly high health needs. 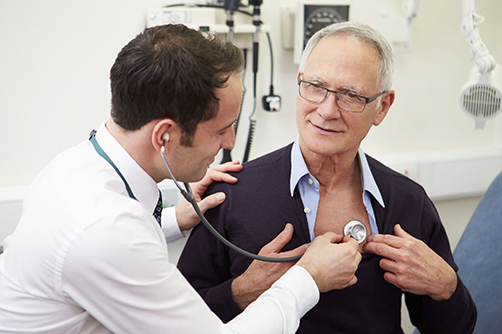 We work closely with GPs, allied health care providers, hospitals and the broader community to ensure patients can receive the right care in the right place at the right time. Our seven key priority areas for health improvement are: mental health; Aboriginal and Torres Strait Islander health; population health planning; health workforce; digital health; aged care; and alcohol and other drugs. 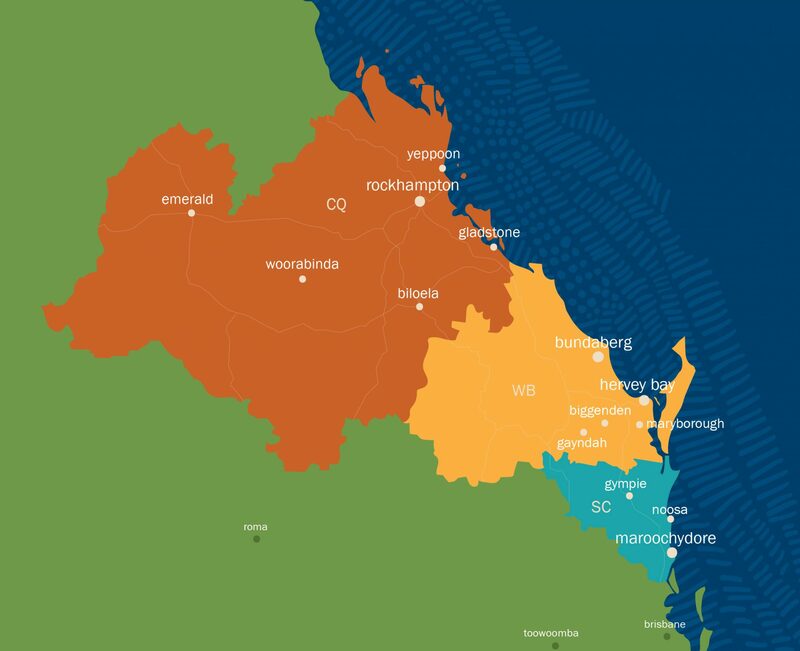 The region starts as far south as Glasshouse Mountains and stretches north of Yeppoon; west beyond Emerald, encompassing Rockhampton, Hervey Bay, Maryborough, the Sunshine Coast Hinterland, Gayndah, Gladstone and Bundaberg. We are advised by Community Advisory Councils, Clinical Councils and Regional Strategic Councils in each PHN area. The councils advise the PHN Board and programs on strategic direction and ensure we deliver programs to effectively meet the needs of all stakeholders in the region. For more information about our councils, visit the advisory groups page. Our Practice Support Officers work with more than 250 practices in our region to deliver up-to-date information about primary health care. This includes improving the management of at-risk groups, providing tools for optimising data collection within practices, and education and training for GPs, practice nurses and practice managers. Central Queensland, Wide Bay, Sunshine Coast PHN uses service mapping, data collection and community feedback to identify health gaps in communities across our region. An example of a health gap may be a lack of access to a local GP, after hours service or allied health practitioner. The PHN will then tender for a best-fit service provider to meet the need. We commission cost-effective, sustainable services in our communities, including those in hard to reach places. Our Practice Support team works with local GPs to minimise wait times, maximise the services to patients and ease pressure on hospital emergency departments by reducing the number of avoidable admissions. We support and host professional development, education and training across the primary health care sector. We understand effective, affordable and accessible primary health care services may only be achieved when community voices are heard and acted upon. We bring together health organisations, community members engaging with health services, community Elders and local hospitals to meet a unified goal: healthier, happier communities. Does the PHN deliver medical services? No, we don’t directly deliver medical services to our community. Instead we consult with community members and health professionals, as well as consider national and local health priorities to find the most suitable service providers across our region. View our PHN Health Needs Assessment for details about our region’s health needs. What are our priority areas? Who is the Sunshine Coast Health Network? Sunshine Coast Health Network Ltd (SCHN) is the registered business entity that trades as Central Queensland, Wide Bay, Sunshine Coast PHN. SCHN is a Company Limited by Guarantee and a registered charity.